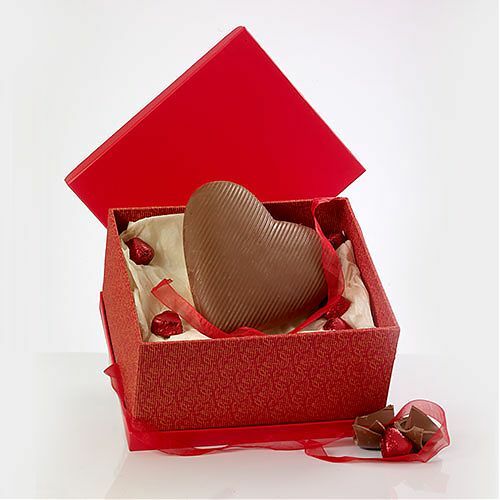 A luxurious Handmade Chocolate Heart with a thick shell as handsome as your Dad and chocolate that snaps beautifully. Also contains a box of 4 'melt in the mouth' handmade chocolates. He might give you one if you are good!